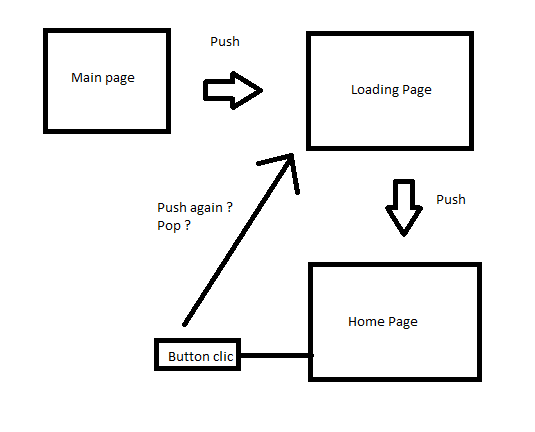 Before accessing to Home page, I have a loading page. When some actions happen, i need to reload the app, and recall the loading page. Pop the page, and tell the loading page to restart the loading ? Best way to tell it is MessagingCenter ? OnDisappearing event ? I suggest you use https://github.com/rotorgames/Rg.Plugins.Popup . 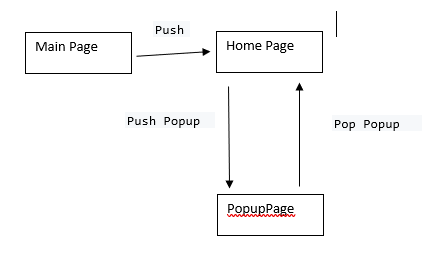 As the image demonstrated, push your custom PopupPage after clicking the button from HomePage , and tell the PopupPage pop when HomePage finishs the reload(use messaging Center or Event).